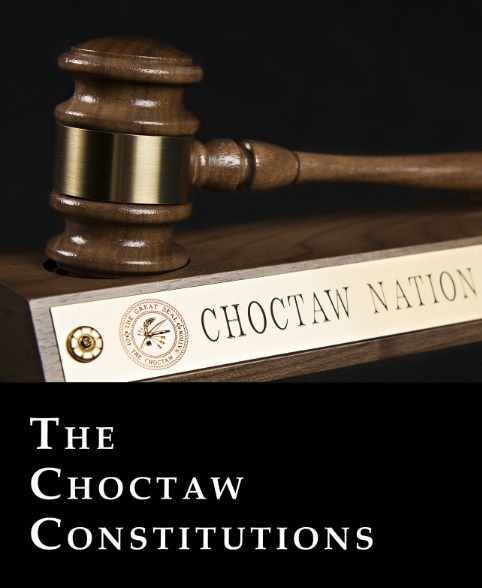 Release of the book “The Choctaw Constitutions” will take place at the ribbon cutting to open the Choctaw Nation Judicial Center, 2250 Chukka Hina in Durant, at 10:00 a.m. April 25. The ceremony is open to the public. DURANT, Okla. – A ribbon-cutting ceremony will open the Choctaw Nation Judicial Center this month. A new book, “The Choctaw Constitutions,” also will be released at the event. The book will be for sale in the lobby after the public ceremony which begins at 10 a.m. April 25 at the Choctaw Nation Judicial Center, 2250 Chukka Hina in Durant. Kathy Carpenter and Joy Culbreath of Choctaw Nation Education Special Projects edited the history book that contains the text of the Choctaw Constitutions from 1838 to the present. The book also features a revision of the initial six chapters of “The Seven Constitutions” by the late James D. Morrison, Ph.D., published in 1977. Also, included is new information about the two latest Choctaw Constitutions and some of the court cases involving the Choctaw Nation of Oklahoma. District 4 Councilman Delton Cox and Choctaw Nation Appellate Division Judge Bob Rabon, who contributed significantly to the publication, will be on hand to sign copies.